Linley Sambourne was born in London in 1844. At the age of sixteen he was apprenticed as a draughtsman in a marine engineering works in Greenwich. Sambourne did not enjoy the work and whenever he had a spare moment he would draw pictures of famous people. In 1867 a sketch that Sambourne had done of John Bright was passed by Alfred Reed, a fellow office worker, to his father, who was a friend of Mark Lemon. When the editor of Punch saw the drawing he announced that the young man had "a great future ahead of him" and offered him a job on the magazine. In his early days Linley Sambourne was heavily influenced by two of the artists employed by Punch, John Leech and Charles Keene. After a time he developed his own unique style. Sambourne's drawings were full of detail and to help with his accuracy, he had a collection of 10,000 catalogued photographs. This included portraits of every important person in Britain. As a young man Sambourne had been a supporter of the Liberal Party but as he grew older he moved to the right. By the time he was in his fifties, Sambourne was described as more "conservative than the Conservative Party. 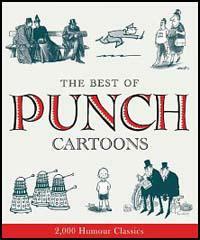 As well as working on Punch, Sambourne worked as a book illustrator. He is best known for the illustrations that he did for Charles Kingsley's Water Babies and Hans Christian Andersen's Fairly Tales. 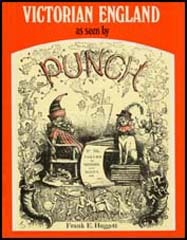 Linley Sambourne worked for Punch for forty-three years and was still employed by the magazine when he died in 1910.